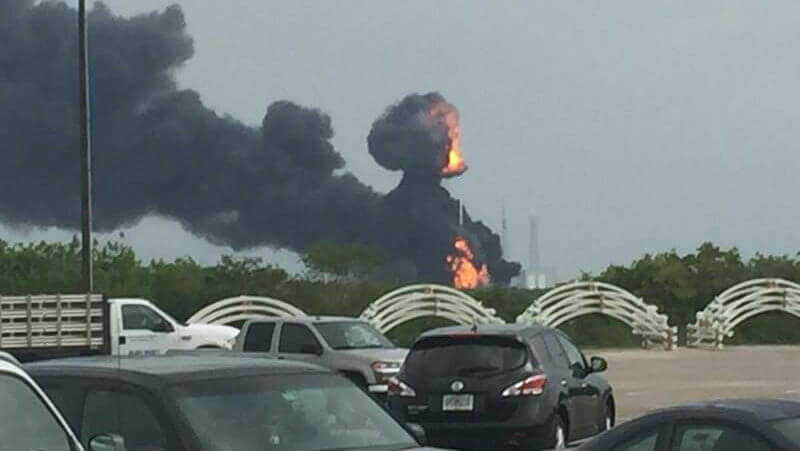 SpaceX Falcon explodes at its launch pad at Cape Canaveral on 1st September 2016. The incident happened during test fire and two days before the launch. Thankfully there were no injuries when SpaceX falcon exploded. The Rocket was to liftoff the Israeli satellite that was intended to provide wider reach to Internet as an Facebook project in middle middle East, Europe and Africa. On twitter, SpaceX CEO Elon Musk said accident happened when propellant was being loaded, but the cause of the explosion was not determined. Its not the first time SpaceX rocket has exploded. 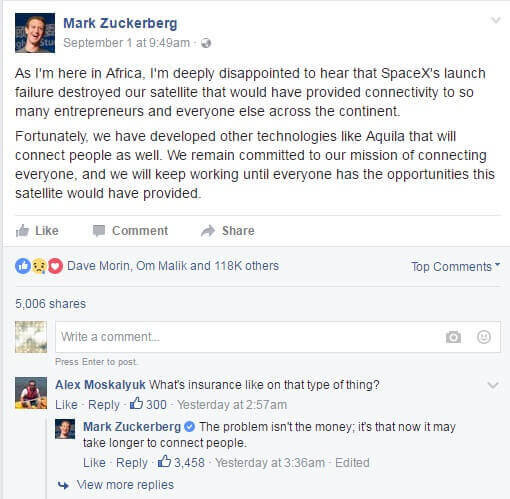 Elon Musk has seen many ups and downs in life, we are he will come back in a strong way.